I have never been in a proper book club. To some people this is very surprising; after all, I love books and I love talking about books. However, my understanding is that, in book groups (much like in polite society as a whole), you are expected to listen to other people’s opinions, even if they are clearly wrong. I believe you may also find yourself having to avoid spoilers for those who “haven’t got round to finishing the book,” and this is unconscionable to me. On one occasion, I was invited to join a book club which, it was soon revealed, sometimes just met to discuss a magazine article, and I was so horrified the invitation was swiftly withdrawn. My lack of firsthand experience with book clubs has not, however, prevented my friends who are in them from seeking my opinion on the occasions they are called upon to choose their club’s next book (my favourite suggestion of recent times has been Our Endless Numbered Days by Claire Fuller, in case you’re interested). 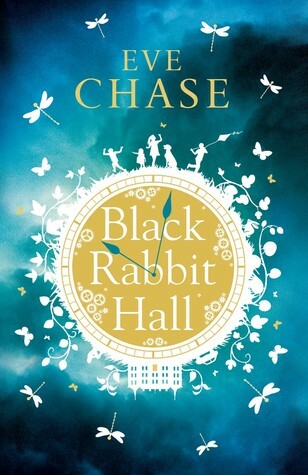 The reason I bring this up is I think Black Rabbit Hall by Eve Chase will now be added to that list. It’s an easy read, and at the same time extremely well-written. It seems to me to be a book which can be enjoyed and discussed over tea and biscuits, which, I believe, are integral to book clubs. Chase’s novel is split into two narratives, taking place in different eras. We start off in modern-ish day Cornwall, with Lorna and Jon seeking a venue for their wedding. Their dire predicament (“where on earth can we serve our canapés?”) is one which will resonate with anyone who has ever tried to plan a wedding. Lorna is inexplicably drawn to Black Rabbit Hall, or Pencraw Hall as it is far less interestingly named, but Jon works in construction, so he finds the leaks in the ceiling and the creaky staircases less appealing. This reminded me of every conversation I have ever had with my husband, who is like Jon in that he too works in construction and has no imagination. The other, far more interesting, sections of Black Rabbit Hall are based in the late 1960s, set in London and at the eponymous country pile. Our narrator is Amber, one of four children who endure a terrible tragedy very early on and spend the rest of the novel partly coming to terms with it and partly causing enormous amounts of adolescent drama, which is quite absorbing. As one of just two children, I have always felt vaguely impoverished on the sibling front, so I have a slightly weird love of anything involving families who would struggle to fit in a standard five-door car. I also even now spend a worrying amount of time pretending to have a twin. The dynamics between Amber and her siblings, particularly with her twin brother, are both entertaining and imbued with pathos, and at least one of them probably needs to speak to someone about his deep-seated rage issues. One of my favourite things about Black Rabbit Hall was how incredibly English it sounds, and I say this as an actual English person. Amber and her family belong to an upper class which I’m not entirely sure still existed in the real-life 1960s, but, if my experience of American reactions to my English accent is anything to go by, a U.S. reader might enjoy the “tally ho, one must commence one’s croquet frivolities on the main lawn” tone to proceedings. The one character who diverts from this is Jon, who, by coincidence, is meant to hail from my own motherland of Essex, but literally nobody I know sounds like him. Never mind. It’s fair to say I enjoyed the historical sections more than the later story, although both are essential to the narrative and the way the two are finally drawn together creates an appealing sense of mystery (and triumph if, like me, you figure it out before the big reveal). I’m quite the fan of vividly realized settings and houses that seem to have their own personality, and Black Rabbit Hall itself can be seen as a character in its own right here; within a few chapters, I felt like I was ascending the staircases and avoiding spiderwebs alongside the characters. Combined with the intriguingly creepy presence of the Mrs. Danvers-esque matriarch in the modern sections, there’s something of Du Maurier’s Rebecca to Chase’s novel, which is no bad thing. Black Rabbit Hall contains a little bit of everything, with family drama, tragedy and mystery all engaging the reader’s interest. It is a book which truly knows what it’s doing, alternating between tugging on heartstrings and yanking at your nerves. It is definitely something I’ll be recommending next time someone wants to keep their book club happy. Black Rabbit Hall is available now at GPL.